Atmospheric oxygen levels have changed dramatically over Earth’s history, but getting hard numbers to build out the record has proven extraordinarily difficult. We know that for the first few billion years, our atmosphere didn’t have oxygen at all. Then, tiny green algae called cyanobacteria evolved and flooded the skies with the stuff, triggering an apocalypse for oxygen-intolerant life forms. As plant life evolved and spread, oxygen continued to accumulate in our atmosphere, until eventually, there was enough to support complex animals. For the past few hundred million years, things have been pretty stable, and animal life has thrived. But these broad brushstrokes aside, scientists also know that oxygen is incredibly dynamic. Animals like us consume oxygen every second, while plants produce fresh oxygen as a by-product of photosynthesis. On longer timescales, oxygen is slowly eaten up by the weathering of silicate rocks. Given enough time, that leak can become significant. It can even change the habitability of a planet. And so, Stolper, along with Princeton’s John Higgins and several other collaborators, decided to see if the leak could be measured. 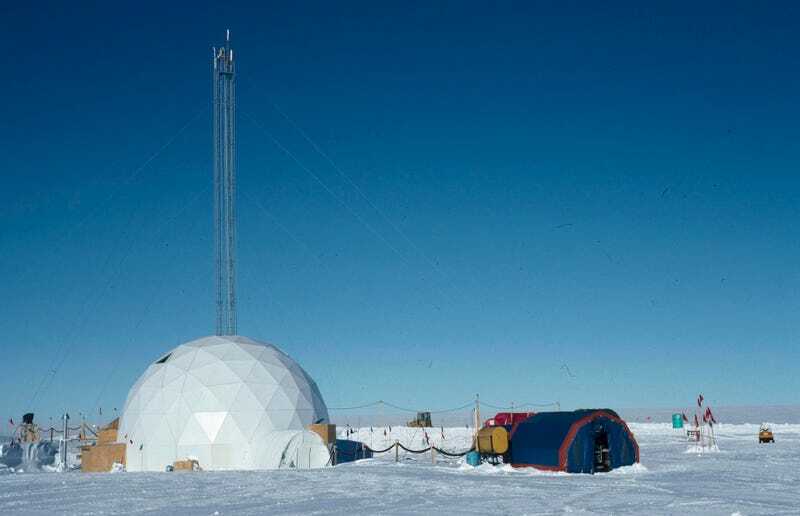 To do that, they turned to one of the best oxygen records we have—ice cores from Greenland and Antarctica, which contain trapped air bubbles representing snapshots of our atmosphere over the past million-odd years. By examining the ratio of oxygen to nitrogen isotopes within these cores, the researchers were able to pull out a trend: oxygen levels have fallen by 0.7 percent over the past 800,000 years, meaning sinks are roughly 2 percent larger than sources. Writing today in Science, the researchers offer a few possible explanations. For one, erosion rates appear to have sped up in recent geologic history, causing more fresh sediment to be exposed and oxidized by the atmosphere, causing more oxygen to be consumed. Long-term climate change could also be responsible. Recent human-induced warming aside, our planet’s average temperature had been declining a bit over the past few million years. Stolper added that there could be other explanations, too, and figuring out which is correct could prove quite challenging. But learning what controls the knobs in our planet’s oxygen cycle is worth the effort. It could help us understand what makes a planet habitable at all—something scientists are rather keen on, given recent exoplanet discoveries. Stolper’s analysis excluded one very unusual part of the record: the last 200 years of industrial human society.